Lviv's largest football team is appealing to all authorities for help with their long-standing dream of reconstructing Stadion Ukraina. Following their open letter, first meeting has already taken place. Last week FK Karpaty Lviv released an open letter addressed at mayor Andriy Sadovy, governor Oleg Synyutka and deputy prime minister for housing development, Hennadiy Zubko. The serious list of receipients corresponds with gravity of the issue. The stake is complete reconstruction of Stadion Ukraina, a project long having been debated in Lviv. Reason for reaching for public pressure is that Karpaty's efforts haven't been fruitful once it came down to bureaucracy. The team's master plan was filed in early October and has since been deadlocked. One of the problems is ongoing change in legislation with regard to holding public hearings, thus reaching out to the central government as well. The open letter proved succesful enough to prompt a meeting between the city and club just the next day. Deputy mayor Andriy Moskalenko talked to Karpaty's director for infrastructural development Oleg Soldatenko and both sides were pleased with the outcome, even if decisive feedback is needed from the cabinet in Kyiv. 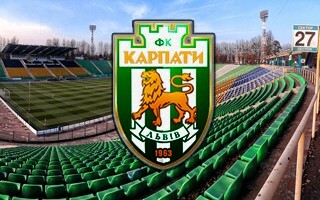 Karpaty have a plan to redevelop the 55-year-old Stadion Ukraina into a new football-specific stadium with extensive commercial infrastructure, all located along Lipova avenue, in one of Lviv's most picturesque leisure spots.